The Armenia Haypost is different from other postal services, they haven’t published Haypost postage rates on their website to the public. But they do have a Postage Calculator. The Postage Calculator of Haypost is easy to use. When you open the Postage Calculator page, you can get the postage rates step-by-step on the same page. Here are a user guide of Armenia Haypost Postage Calculator. Step 1: Choose the Type of Postage. 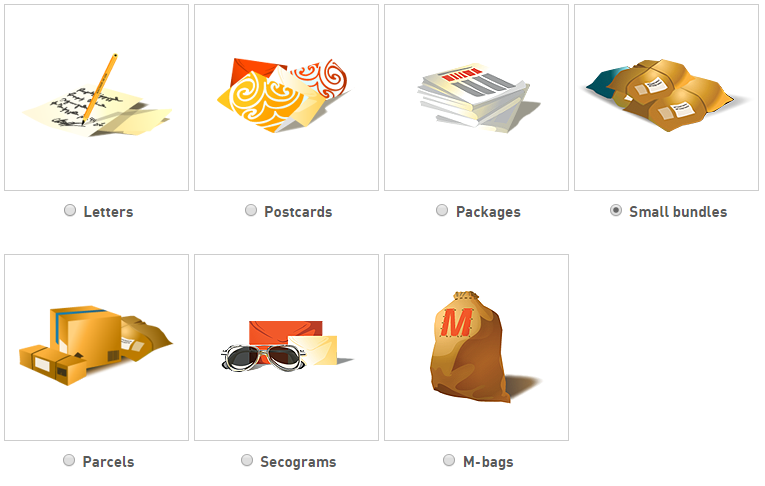 There are seven types of postage, they are letters, postcards, packages, small bundles, parcels, secograms and M-bags. Step 2: Choose the Destination Country. Step 3: Choose Delivery Type. Step 4: Fill in the Weight of Your Package. Here is the limiting weight of your packages in the following table. The maximum weight for a letters is 2 kg. Тhe minimum size of the letters is 110×220 mm. Тhe maximum size of the letters is 229×324 mm. The maximum size of the postcards is 120×235 mm. Тhe minimum size of the postcards is 90×140 mm. Permitted weight of enclosures is 5kg: printing, business papers and other documents. The maximal weight of the packages is 5 kg. Тhe minimum size of the pаckages is 105×148 mm. The maximum weight for small bundle is 2 kg: small gifts, souvenirs, unique patterns, small shatterproof items. The minimal and maximal size of parcel is from 0.6 m to 0.9 m.
The maximal size of parcel- any dimension of no more than 1.05 mm. The minimal size of parcel is 110x220x114x162 mm. The maximal weight of secogram is 5 kg. The minimal size of secogramma is 105×148 mm. The maximum weight for M bag is 30 kg. The minimum size for M-bag is 105×148 mm. Step 5: Choose the Additional services of your postage. Click here to Calculate your package with Armenia Haypost. The information provided on this webpage has been compiled to provide general information to public, with the utmost care. For accuracy and completeness of the information in question, please verify details with any Post Office or Armenia Haypost Website.